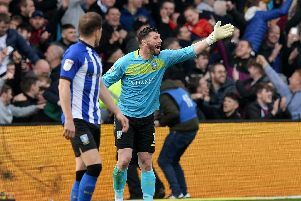 Just when you thought things had taken a turn for the better, Sheffield Wednesday again showed just why this season has been such a disappointment. A three-goal blitz in seven first half minutes cost the Owls dearly and set Queen’s Park Rangers on their way to a deserved 4-2 win at Loftus Road. Paul Smyth, Jake Bidwell and Idrissa Sylla registered in a battle between two lower mid-table teams. It’s now 11 matches since Wednesday last kept a clean sheet. To their credit, the Owls produced a spirited second half showing after Sylla claimed his second from the penalty spot. Fernando Forestieri, making his first Championship start since the opening day of the season, and Atdhe Nuhiu found the back of the net as the visitors briefly threatened to stage a remarkable comeback. But, ultimately, Wednesday left themselves with too much to do and fell to a second successive defeat. They paid the price for seven minutes of madness. Boss Jos Luhukay rotated his depleted squad, making four changes to his starting eleven. There were first-team recalls for Liam Palmer, Jordan Thorniley, David Jones and Forestieri. Luhukay tweaked his formation, switching to a 4-2-3-1 formation. Lucas Joao was deployed on the right, with Forestieri on the left while Adam Reach supported Nuhiu in attack. There was a minute’s applause before kick-off for ex-Rangers player and manager Ray Wilkins, who died last week. It was QPR who looked hungrier from the off and they tore Wednesday apart defensively in the opening quarter of an hour. It would not have flattered them if they had been four nil up. Wednesday’s defending was nothing short of embarrassing. Rangers, looking for a strong response following their hammering at Hull City last weekend, scored with their first attack in the eighth minute. After Joe Wildsmith punched away a cross from the left flank, Paul Smyth controlled the ball beautifully before expertly dispatching a right foot shot into the bottom corner. Wildsmith was also at fault for QPR’s second. The goalkeeper, one of the Owls’ better performers in a troubled season, failed to hang on to Jake Bidwell’s rasping low drive and the full-back lashed in the follow up. Moments later, Wildsmith atoned for that error, pulling off a stunning save low down to his left to foil Luke Freeman after Sylla caused havoc down the left wing. 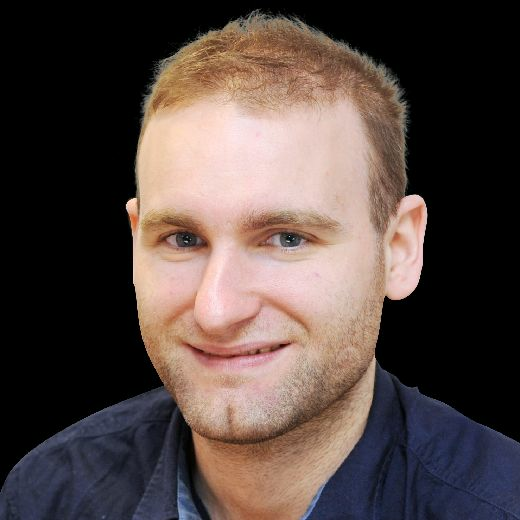 Joey Pelupessy tested the reflexes of Alex Smithies on the counter attack but the hosts increased their advantage on the quarter of an hour mark. And it was more shoddy work at the back by Wednesday. Darnell Furlong was given far too much time to whip in a dangerous cross to the back post and Sylla, recently back after a calf problem, nodded home from inside the six-yard box. QPR did not have to work hard for any of their three goals. Midway through the first half, Adam Reach’s half volley was tipped over the top by Smithies as the Owls looked to reduce the deficit. QPR took their foot off the pedal and Wednesday improved as the half wore on. Forestieri threatened to weave his magic in the 32nd minute. He turned sharply before whipping in a delightful cross which picked out an unmarked Nuhiu but his fierce shot was brilliantly blocked by Smithies. Ex-Barnsley midfielder Josh Scowen received the first caution of the evening after a late challenge on Forestieri deep inside Rangers half. Forestieri curled over the resulting free kick. Nuhiu wasted another chance on the stroke of half-time, heading wide when well-placed following neat link up play between Reach and Palmer. There were a few boos from the away end which greeted the half-time whistle and the supporters’ frustration was understandable. The team only turned up after giving themselves a mountain to climb. QPR added a fourth in the 53rd minute after Owls skipper Tom Lees was penalised for bringing down Bright Osayi-Samuel. Sylla, one of six changes made by Rangers boss Ian Holloway, calmly sent Wildsmith the wrong way from 12 yards. Freeman came within a whisker of making it five nil but his ambitious 25 yard strike was tipped around the post by Wildsmith. Forestieri restored some pride just after the hour mark as he notched his second goal of the campaign. The Argentine-born striker latched on to Joao’s throughball and Forestieri drilled home with the outside of his right foot. Nuhiu continued his impressive goal-scoring form, bagging Wednesday’s second. He glanced in Palmer’s pinpoint delivery to claim his sixth goal in his last five league appearances. The Owls poured forward in numbers in the closing stages and Pelupessy’s stinging shot was turned away by Smithies. But QPR held on as Holloway secured his first second-tier win over the South Yorkshire club at the 14th attempt. The result still leaves Wednesday with some work to do confirm their Championship status for next season. One thing is for sure, this campaign can’t end fast enough. QPR: Smithies; Furlong, Baptiste, Robinson, Bidwell; Freeman, Scowen (Manning 67), Cousins; Osayi-Samuel (Wszolek 77), Sylla (Smith 68), Smyth. Substitutes: Ingram, Washington, Kakay, Eze. Owls: Wildsmith; Palmer, Lees, Thorniley, Pudil; Pelupessy, Jones, Reach; Forestieri (Boyd 80); Nuhiu (Rhodes 83), Joao (Matias 64). Substitutes: Dawson, Butterfield, Baker, Nielsen.